Building a well-structured website with unique content, and natural inbound links is challenging… but vastly less-expensive in the long-run, compared to the irreparable damage that is often the result of taking SEO shortcuts, including poorly-written content, thin content, and especially “black-hat” backlink tactics such as private blog networks, and tiered linking schemes (think “pyramid”). Some of these types of practices may work in the short-term, but long term, the site will suffer. A real estate domain and website represents a huge investment in time and money - and short-term organic ranking gains are not worth the risk. If you’re serious about creating a long-term web asset, then building a website “the right way,” is the only way to go. Let’s begin with a visual example of why I speak so frequently about "on-site SEO" (which includes site organization, structure & content), and why I believe most real estate website owners launch a new site too hastily - first by focusing too much, too soon on building unnatural backlinks, and secondly, by publishing hundreds, or even thousands of low-quality pages for Google to consume in a very short time-frame (or all at once). The graph below represents the tracking of several primary keyword phrases over six weeks for a small "silo" of real estate content (a directory with sub-pages) - in this case, a large master-planned community with several neighborhoods. Note how the rankings now hover around the 20th position, and how most of the phrases are now tracking very close together within a relatively short time period. This isn’t by accident… it involved restructuring the content, and creating proper inner linking relationships. Why is this rankings chart even more impressive? Because this website only has 11 backlinks! Wouldn’t you rather start your average ranking positions in the 20’s or 30's and build from there, instead of the 60’s, 80’s or beyond? Well of course! So, how does one achieve positive ranking changes like this over and over again without even considering off-site links? 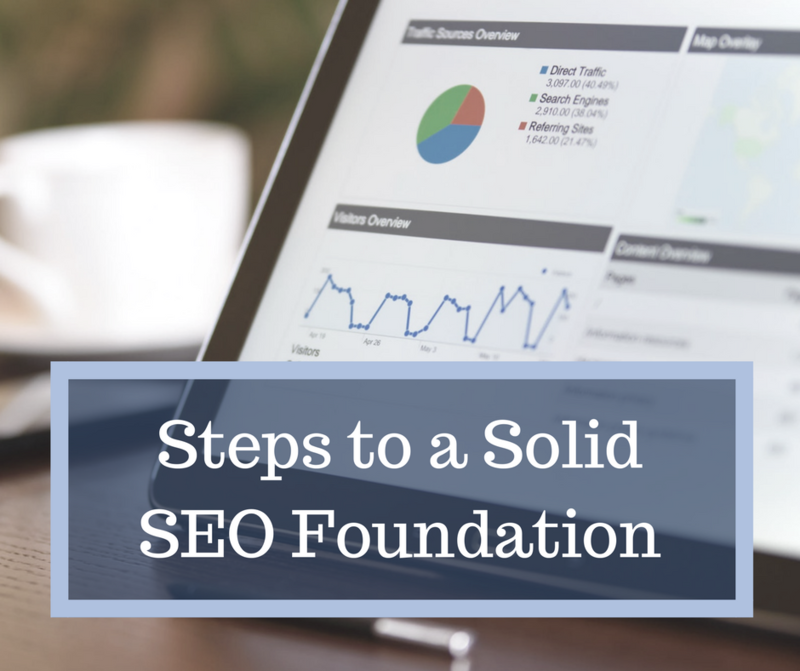 It helps to start by building the right SEO foundation. When creating any website, before "going live," always take the time to carefully consider site structure... meaning, the navigation, inner-linking and hierarchical relationship of all content, current and future, on a website. Never underestimate how technical SEO issues might be holding back your organic rankings, clicks and conversions. Much like deferred maintenance on a home leads to continued deterioration and reduced resale value, so can unattended technical SEO matters cause significant harm to a website and domain. Do not let anyone convince you that this subject is not important, because as Rand Fishkin also expressed recently, fixing technical SEO issues has a compounding benefit. Make the effort to create and/or correct all SEO attributes on every published page before going live, and fix any broken links, 404 errors, etc. With a new site, it’s also best to use a similar visual and technical SEO format sitewide for all community & neighborhood page meta titles, meta descriptions & H1/H2 headers, etc., making it easier to later separate what’s working, from what’s not. The same is true for existing websites - technical issues are often at the root of major ranking and traffic challenges. Technical issues are fortunately correctable, but it can take a while for a domain to recover. Therefore it’s best to avoid these struggles by proactively performing technical website audits at regular intervals. A site isn’t going to get anywhere, without quality content. Always make an effort to write at least some unique real estate centric content on published pages before going live - even if it's just 100 words (in the beginning) - this is especially true for smaller neighborhood pages, which typically have less competition, and can rank well more easily, compared to cities. Always check the content for proper grammar and spelling. Finally, an SEO-friendly and indexable section of home listings (IDX module) is essential, which ideally will contain between 12-15 listings on each community page (more is not necessarily better). Many real estate website platforms make it easy to add home listings to any page. But, without unique content, doing so is pointless in terms of SEO, because the page will not contain any information of value, beyond the MLS listings - which are of course, available elsewhere too. Please resist all temptation to quickly build-out 100’s of pages that are lacking in at least some unique content, as it’s among the biggest real estate SEO mistakes, and can be harmful to the domain. After the site is launched, publish at least one quality blog post between 500-800 words, which links back to a main community page, and one or two of the sub-pages within that community directory. But take note, that It’s critical blog posts not compete for SEO authority with any community pages (a very common mistake). For example, you create an amazing page for your primary neighborhood focused on “real estate centric” keywords (i.e. - homes for sale, real estate, etc. ), and then you later publish blog posts for the same neighborhood using the same keywords in prominent locations, such as the title, URL & headings - that would be a mistake. Remember, blog posts should support the community pages with related information, such as market updates, neighborhood events, etc. - not directly compete with or replace them. When performing these steps on an existing site, it is highly likely the primary phrases for a community directory (city & related neighborhoods) will rise in rankings, and be ranked more closely together, as displayed in the graph above. Doing this from day-one is preferred, as opposed to “fixing” things later, which is costly, and can actually cause rankings to drop - at least temporarily. With the on-site SEO foundation firmly in place, now is the time you should start thinking about methods of attracting backlinks (not manufacturing them). Industry outreach and networking are golden opportunities in earning backlinks. Additionally, with a healthy SEO foundation, it’s also highly likely a website with compelling and authoritative content will naturally attract high-profile backlinks without having to actively promote the content to those new influencers. These types of random inbound links can be of exceptional value, because it’s an entirely organic vote in favor of the content, which hasn’t been the result of networking. And by all means, when you discover these links, be sure to add the authors to your network, and give a shout-out to them, as those new relationships may be of value in the future. Build It (Well) And They WILL Come! It’s unfortunate that "Structure" and "Content" are the ugly step-siblings of backlinks - they're just not glamorous in the world of Search Engine Marketing by comparison, perhaps because doing so requires a lot of hard work. But time and again, we can demonstrate how sites with logical structures and unique content outrank their competitors - especially those competitors who try in vain to take short cuts. In real estate, these well-organized sites can compete right alongside the "big guys" like the major brokerages and real estate syndication sites, even with comparatively unimpressive backlink profiles. Make no mistake… quality inbound backlinks are important for a long-term competitive advantage on the web. 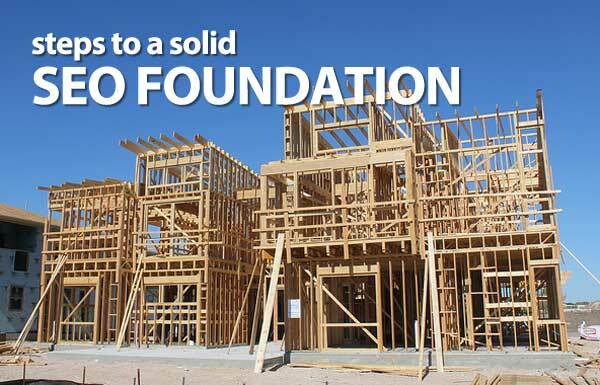 But much like building a house, the foundation & framing should come first. Otherwise, one may end-up with a house of cards that leaks like a sieve, has random fires that need to be extinguished - and is prone to collapse when the next Google algorithm update is released from its cage. Commit in the long-term to building a real estate website people can use, and one that the search engines can easily digest - and the traffic will come. Quite simply, be "obsessed" first with building a quality website - not the links pointing to it. Anthony Gilbert, REALTOR® – is President of The RealFX Group, based in Snoqualmie, Washington, about 30 minutes to the east of Seattle. In addition to real estate, he has over 10 years of online marketing experience, and offers website consulting services for real estate agents in other markets through Hypewired Digital Marketing in Austin, TX.